In an interview published yesterday by Rolling Stone, Springsteen’s manager, Jon Landau, gave some thoughts on the new album, calling it a "big-picture piece of work. It's a rock record that combines elements of both Bruce's classic sound and his Seeger Sessions experience, with new textures and styles." That hooks me right there, because the “Seeger Sessions” was one of the most exciting and energized moments in his career, and synthesizing that with the established, brilliant E-Street sound should be a wonder to behold. More importantly, I believe Springsteen needs to experiment with his style. With Clarence Clemons having passed away, his traditional sound simply can never sound the same again. 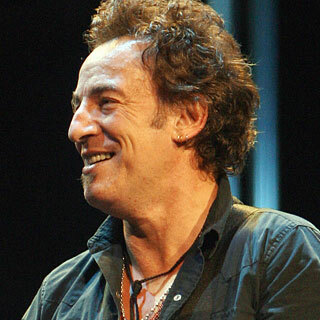 There’s no way to fill the hole the Big Man left, but I think there are ways to reinvent the sound, and I’m really excited to see what Springsteen and new producer Ron Aniello come up with. But I know Springsteen’s going to nail the music side of things, long as he’s not employing studio musicians in the 1990s. I’m more interested in hearing what themes Springsteen’s tackling with “Wrecking Ball.” Springsteen is one of most socially conscious and thematically articulate musicians of all time, which is a big part of why I and so many others love him, and we’ve reached yet another point in American history where we need Springsteen to step in and make sense of things. He’s tackled cultural flashpoints before; “Born in the USA” examines Reagan-era, post-Vietnam America, with particular regard to the declining middle class (gee…) and poor treatment of veterans. In 2002, “The Rising” personified America’s national grief from 9/11 in music, sending a much-needed message about rising above our anger to find solace, solidarity, and strength, and perhaps make a better tomorrow in our process. That obviously didn’t happen, and 2007’s “Magic” was a direct, pointed response to the ethical sacrifices Springsteen and many others felt America made after 9/11. 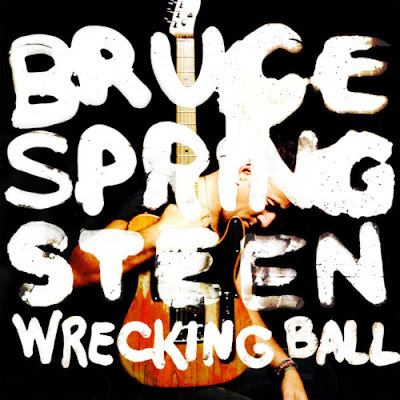 “Wrecking Ball” is certainly loaded with potential. The track listing has been released, and titles like “Easy Money,” “Shackled and Down,” “Death to My Hometown,” and “This Depression,” imply an album with thematic unity. Two of the songs, in fact, should be familiar to Springsteen fans, and give us an idea of where Springsteen is headed: the title track, “Wrecking Ball,” has only previously been performed live, written to commemorate the tearing down of Giants Stadium in New Jersey. I suspect minor lyrical changes will be made, but the basis of the song is definitely about change, about celebrating the past while overcoming the fear of embracing the future. It’s definitely an issue many Americans are currently struggling with, and will be a perfect fit for the album. The second song, “Land of Hopes and Dreams,” is another one that’s only been performed live, dating back all the way to the 1999 ‘Reunion’ tour. It’s one of my absolute favorite Springsteen songs, sweeping, epic, emotional, and hard-hitting. It’s about people immigrating to America back in the days of Ellis Island, when America was a beacon of hope and prosperity for struggling individuals worldwide, and I’m guessing it’s place on “Wrecking Ball” will be to accentuate America’s potential and how far we’ve drifted away from that beautiful ideal. This brings us to the lead single, released today in conjunction with album pre-orders on iTunes. 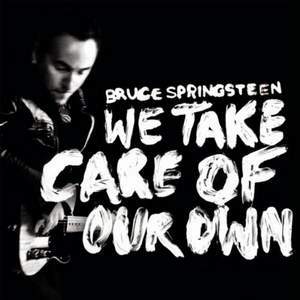 It’s called “We Take Care of Our Own,” and it’s actually the first song on the album, giving us the clearest idea of what Springsteen’s ambitions are this time around. My immediate reaction to the song, before I was even halfway through, is that the song is going to misinterpreted and misused just as widely as “Born in the USA” was back in the eighties. “Born in the USA” was not the red-blooded patriotic anthem many believed it to be, but instead a harsh, critical look at the treatment of Vietnam veterans. But people only seemed to hear the chorus, and “Born in the USA” became a patriotic chant, rather than the cry for help and symbol of injustice Springsteen intended it to be. “We Take Care of Our Own” works in almost the exact same way: the chorus extols an American virtue, that “Wherever this flag’s flown, we take care of our own,” and the sweeping, Arena-friendly production makes that core lyric awfully catchy. The verses, however, examine how far away we’ve drifted from that ideal. Anyone politically or socially conscious should know that we aren’t taking care of our own in this country, not in the way we ideally should. Taking care of our own is part of the American dream, but is it being upheld? Who are we actually taking care of? Where does the heart of America truly lie? Where happened to the laws and values put in place so long ago to keep this simple statement true? Where are the eyes, the eyes with the will to see? Where are the hearts that run over with mercy? Where’s the love that has not forsaken me? Where’s the work that will set my hands, my soul free? On the whole, “We Take Care of Our Own” isn’t a hugely substantive song. It asks many questions, but it works in broad strokes and provides no answers. That’s okay. As the opening track to the album, this is just the first part of an eleven-song journey, a broad sketch of a larger thematic tapestry, and it works beautifully as a first song should. It’s Springsteen’s thesis statement, laying down many of the questions Springsteen will explore over the course of the album, and I think the track is pretty wildly successful at achieving that goal. Is it quite as meaningful or gripping as Springsteen’s best two opening tracks, “Badlands” and “Thunder Road?” No, but it’s still a damn good song, and chances are it will be even better once we hear it in context, with the full album following. Musically, I really love the track. It’s truly epic, so arena-friendly that one can practically hear it being performed live as you listen. Like “Born in the USA,” it’s thoughtful and angry, but also infectiously catchy. The production is splendid; I’m sure some will think Springsteen went too far with overdubs or strings, but my view on production is that as long as it clearly serves the needs of the song and enhances the music, there’s no such thing as too much. “We Take Care of Our Own” sounds great, plain and simple. Springsteen’s voice sounds really good – if anything, his voice has only improved with age – and I especially love the guitars and drums; Nils, Steve, and Bruce have plenty of chances to go wild on this one, and while I can’t confirm that that’s actually Max Weinberg on the track, no other drummer can fill the space quite as passionately, and as awesome as the drums sound here, they’ll be even better live. Overall, I’m almost sad I heard the song two months out from the album’s release. Springsteen is so meticulous about album structure that hearing the first song with nothing else is akin to watching the opening to a movie without seeing the rest of the film, and it’s frustrating. Nevertheless, I’m more excited for the new album than ever before. 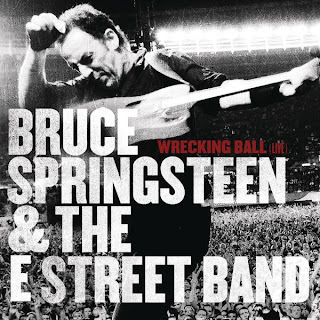 Everything I’ve read and now heard sounds like Springsteen is moving in the perfect direction, and for me at least, “Wrecking Ball” is going to be THE musical event of 2012. After Clarence died, I was so sad I couldn’t even listen to Springsteen for a little while, and for the longest time now, it’s felt as if E-Street had shut down, that no more music could possibly be produced without the Big Man. Today’s developments don’t staunch the grief, but they prove that life goes on, and that there’s plenty of life left in Springsteen and his cohorts. I can’t wait. *I didn’t mention this in the body of the review, because it’s not really part of the album, but “American Land” is another live-only concert staple, performed on the Seeger Sessions tour. It too is fantastic, and I assume was left off the album only because it fills the same thematic space as “Land of Hopes and Dreams.” Still, hearing a real E-Street studio recording should be a treat.